The Nedbank Golf Challenge, an event that is held in Sun City, South Africa will serve as the penultimate event of the season. This event has been around since 1981 but was originally just for a field of five, and named “The Million Dollar Challenge”. It was increased to 12 players until it became part of the European Tour in 2013. From 2013 it was a 30-man event and remained that way for three renewals, before eventually increasing to its current field size of 72 in 2016. It appears Francesco Molinari is confident he has done enough to win the Race to Dubai and Tommy Fleetwood seems to have surrendered to the Italian as well, as both skip this event. Fleetwood can mathematically still win the title in Dubai, but at this stage it certainly looks like Molinari will emerge victorious. There is some star power this week though as Rory McIlroy and Sergio Garcia line up as favourites this week, with the latter looking for back-to-back wins after winning on home soil in his last start. With both of their Race to Dubai races run, McIlroy and Garcia can focus on the event in hand, without keeping one eye on the R2D standings. Garcia is twice a winner on this course, albeit before it became an official event in 2001 and 2003 but he’s also played well since. In 2008 he finished 5th and in 2013, the first year it was sanctioned by the European Tour, he finished 2nd behind Thomas Bjorn. McIlroy has played here just the once, back in 2009 but didn’t complete the week as he withdrew after shooting 73, 76 in the first two rounds. A terrific driver of the ball though, this course should suit McIlroy and he will look to put a poor week in China behind him. Alex Noren, Danny Willett, Thomas Bjorn, Sergio Garcia and Lee Westwood. All of these golfers have won at both Crans-sur-Sierre (European Masters) and here at Sun City, which makes sense as the two courses offer up similar tests. Another player who has won here and also gone close (runner-up) in Switzerland is Germany’s, Martin Kaymer. Both courses are played at altitude and both require good Green in Regulation and Scrambling numbers. 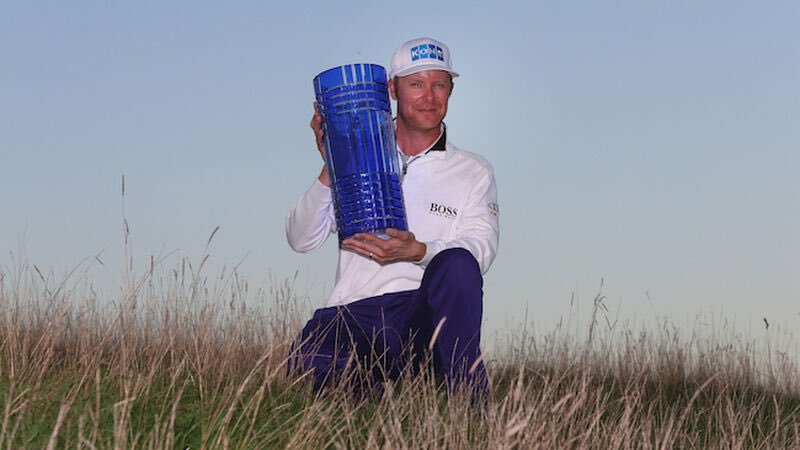 Three of the last five winners of this event have ranked 1st in GIR the week they won here and Branden Grace (2017) and Danny Willett (2014) ranked 2nd and 3rd respectively. Three of the last five have also ranked inside the top-3 (two of which ranked 1st) in Scrambling. The small Bentgrass greens are well protected by bunkers, so it makes sense that those that find the most greens, but also recover well when they do inevitably miss some, prevail here. Driving it long and straight will be an advantage as it would be on any course, but here avoiding the penal Kikuya rough is a must if you want to go low enough to win. Whilst the course doesn’t play to its stated yardage, due to the altitude, it is still long enough that those who hit it further can garner an advantage here. Since finishing 9th at the Czech Masters in July, Lucas Bjerregaard has been in immense form, which culminated in victory at the Alfred Dunhill Links and he can win again this week. His form figures in his last eight events, including that 9th at the Czech Masters read 9-6-2-20-1-9-69-5. Now clearly one result stands out and that was dismal showing at the WGC HSBC Champions event. Just a week later though he put that and a slow opening-round behind him to finish T5 in Turkey. After shooting 70 on day one the Dane shot 67-66-67 to climb the leaderboard last week and a quicker start here can lead to a second win of the season. Like at the Alfred Dunhill Links, Bjerregaard has little course form to speak of here, finishing 32nd and 37th in two starts but a closer inspection suggests he could go well this time. Prior to his appearance in 2016, Bjerregaard has finished no better than 12th in his 9 previous starts, missed two cuts and finished outside the top-30 a further four times, so he wasn’t in his best shape. In 2017 he had a win and two top-10’s in recent starts, but his last three results read MC-MC-48, so he’d lost what form he had before coming here. This time around he’s in much better form and ranks 2nd in Greens in Regulation on the season, hitting 74.2%. This is just shy of Fleetwood’s 75% marker but the Dane has played almost 20 rounds more, so is clearly striking the ball incredibly well. On two starts here, ball striking has never been the problem for the Dane who has ranked 1st and 3rd in Total Driving and 3rd and 7th in Ball-Striking, so can attribute bad putting weeks to his struggles. A more confident player on what will be his third visit to the course, Bjerregaard can defy the course form demons, as he did at the Dunhill Links and win here to climb into the World’s top-50 for the first time. Danny Willett has fought back from some miserable form since winning the Masters in 2016, and is now showing signs of returning to his former winning self. Last week the Englishman finished 7th in Turkey after opening 67-65. This was his third top-10 since the start of June and his T22 at the CJ Cup two starts ago also offers hope. A second-round 77 ruined what could have been a great week for him in South Korea, but he finished strongly with a 65 on Sunday to post a decent finish and take some confidence into Turkey. In three starts at this course, Willett won on debut (2014), finished 4th a year later and then 11th in 2016, so it is fair to say he likes the setup here. 1st and 2nd place finishes at the European Masters provide further validation that Willett suits this sort of test and he is now worth backing, as he appears to be nearing something close to this best once again. 33/1 about a player who looks to be returning to the form that saw him win five times on the European Tour, including the Masters, looks good enough value considering his suitability to the test in front of him and the limited field. Charl Schwartzel is simply the wrong price for me this week. Whilst his form has hardly been electric over the past couple of seasons, he’s shown flashes of brilliance, including when T2 at the Players Championship earlier this year. He’s almost double the price he normally starts the week here and given his last two starts especially that may not be surprising to some, but for me it’s an overreaction. He was T6 at the European Masters in September which is correlating event, opened 69-66 in Portugal a start later before fading away, and in total has finished in the top-10 four times since May. 8 of Schwartzel’s 11 European Tour victories have come in South Africa, proving he is a different prospect when playing a home event and he can add to some good form on this course, which includes a runner-up finish to Martin Kaymer in 2012. At 40/1 I am happy to chance the player that nearly won the Players back in March and has finished inside the top-8 at both the European Open and European Masters in recent months, turns up this week. Erik Van Rooyen at 60’s and Darren Fichardt at 150/1 make their own strong cases but I instead have opted for the class player of the three, at what looks a generous price to lead the South African charge. With Greens in Regulation and Scrambling big factors this week, it may perhaps pay to take a look at improving 23-year-old, Matthias Schwab. The Austrian ranks 5th in Greens in Regulation and 12th in Scrambling on the European Tour this season, and is also not the worst in terms of accuracy off the tee (52nd) so ticks a lot of boxes. After turning professional in 2017, Schwab played well enough on the Challenge Tour to secure the last of 33 European Tour cards and he looks to have made the step up successfully this season. An early top-10 at the Hero Indian Open (T4) has been backed up by some excellent play from July onwards. Schwab finished T7 at the Porsche European Open but had a real chance of winning, if not for a final-round 75. He ultimately finished 3 shots shy of winner, Richard McEvoy that week but it would have been a valuable lesson as he looks for his first professional win. In 9 starts since the European Open, Schwab may have missed four cuts but each time he has made the weekend he’s been in and around the top-10. T9 at the Czech Masters and T10 at the Alfred Dunhill Links jump off the page, but when T22 at the British Masters and T18 at the Turkish Airlines Open, Schwab was only two shots shy of the top-10 on both occasions. Whilst he could only end the week T50, it is perhaps also encouraging that Schwab shot a 66 at the European Masters when still in amateur in 2015, suggesting the altitude may not faze him here. T27 or better in each of his last four starts, in bigger and on occasion stronger fields than this, Schwab looks good value at 100/1 to find a good finish here in South Africa.